With Summer finally here and Christmas just around the corner I’ve been feeling rather festive this week. Team that with some blistering hot days and a bunch of sweaty kids and I think I’ve come up with a healthy holiday treat that’s sure to cool you down. If you haven’t tried these before, you’re in for a big frosty treat. Coconut water icy poles are slightly sweet, insanely refreshing and very low in natural sugars. A much healthier alternative to fruit juice icy poles, which can contain just as much sugar as a soft drinks. Read more about it here. 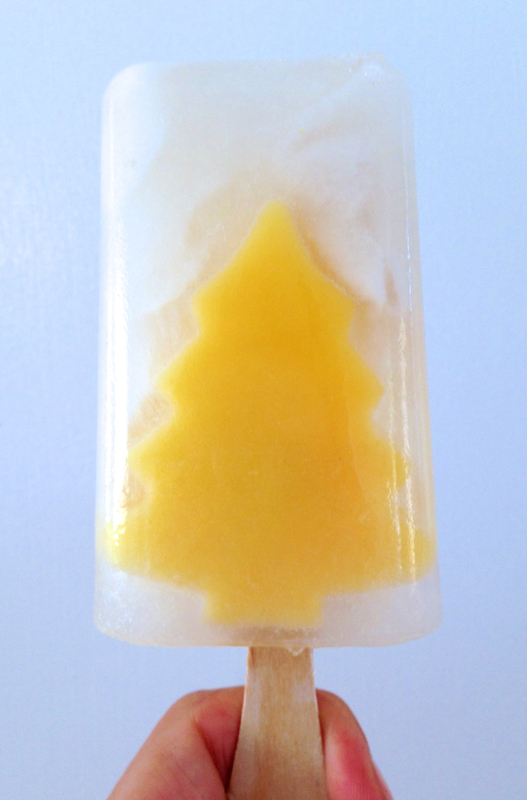 I’ve paired my icy poles with coconuts favourite partner in crime – Mango. 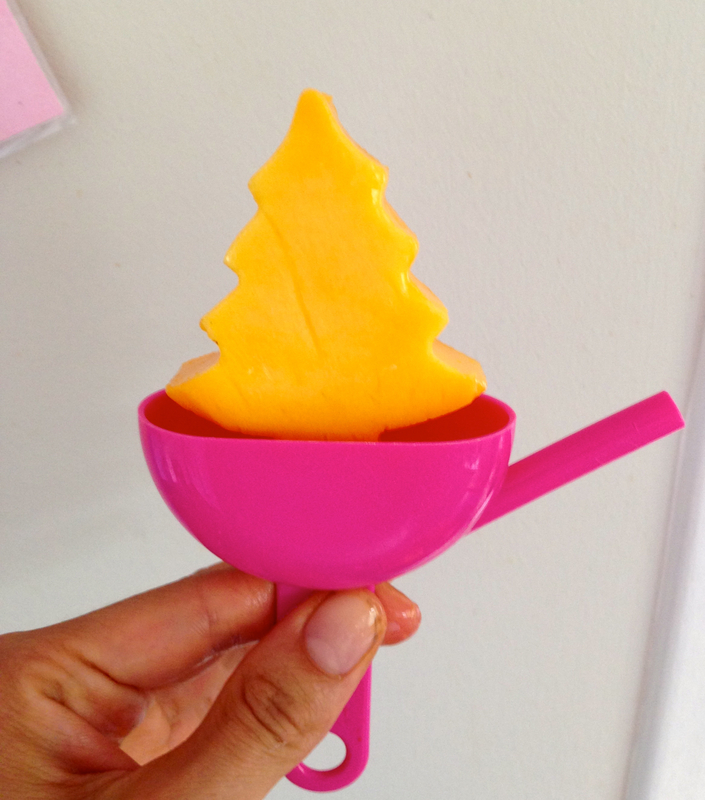 I used cookie cutters to cut out various festive shapes and froze them in the juice of a fresh young coconut. This gives the effect of Christmas trees, snowmen or whatever merry shape you choose looking like it’s been trapped in a Winter wonderland. It’s a great way to enjoy a hot Aussie Christmas. 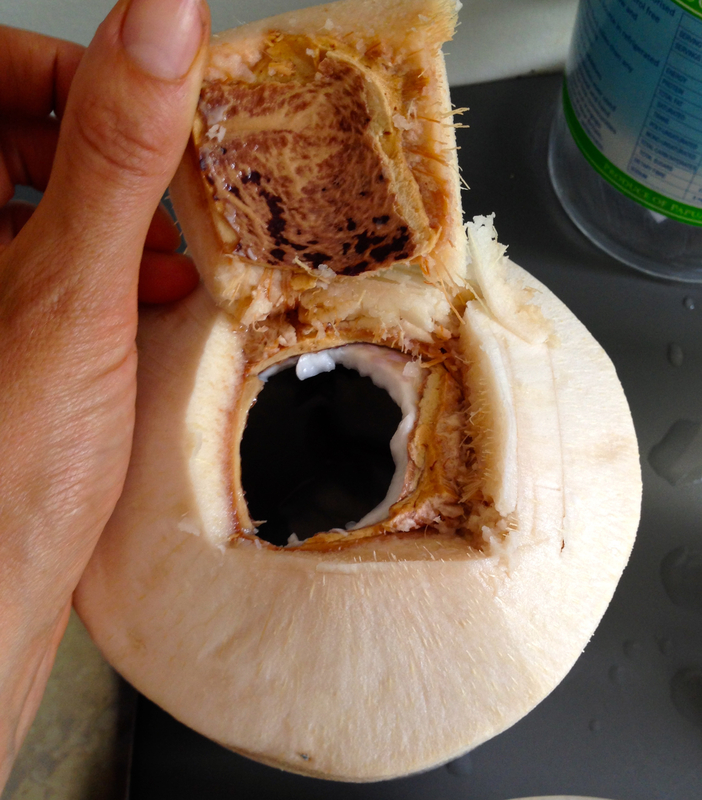 I’ve explained about choosing a ripe young coconut and cracking that puppy open here. Cut your mango or whatever fruit you choose to the same width as the icy pole container (your fruit has to be the same thickness as the container) or the coconut water will freeze over the fruit and you won’t be able to see the shape clearly. Cut the cheeks of the mango away from the centre seed. Cut away mango skin with a sharp knife. 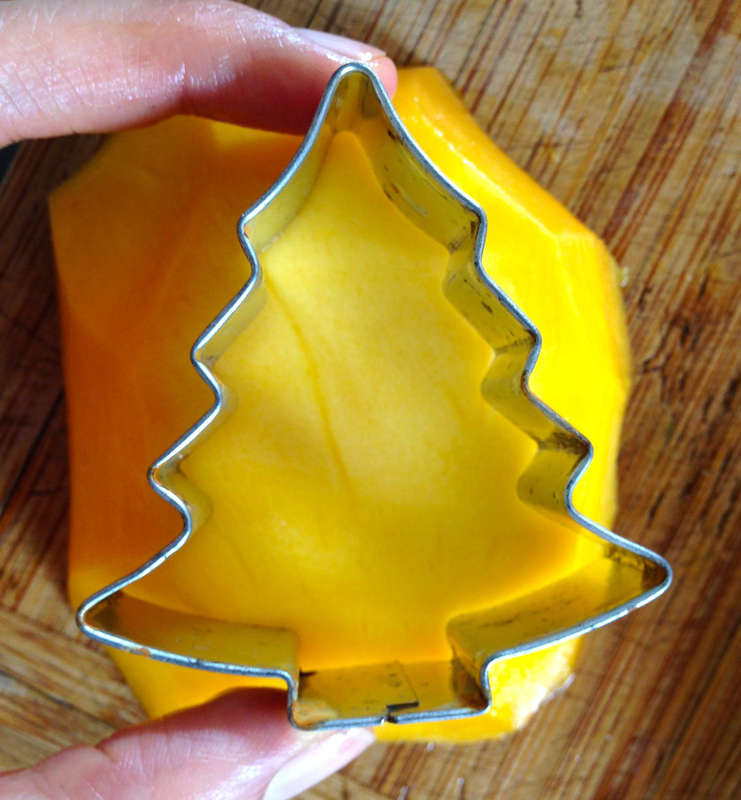 Use your cookie cutters to cut out shapes from mango (you will most likely get a maximum of two). 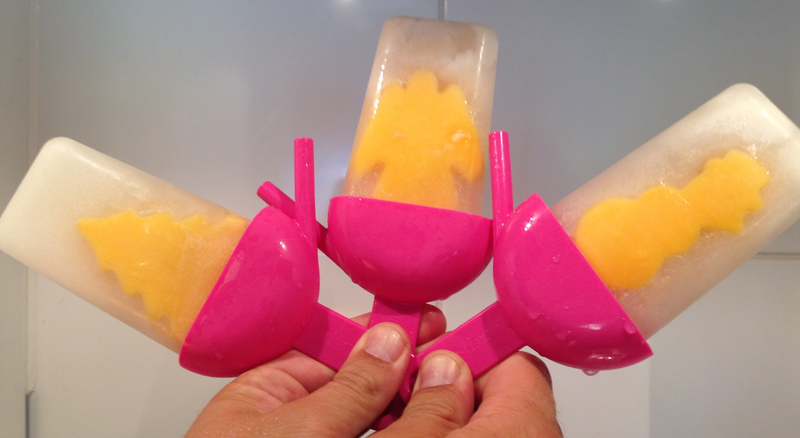 Insert the centre stick of the icy pole holder into the bottom of the fruit shapes. 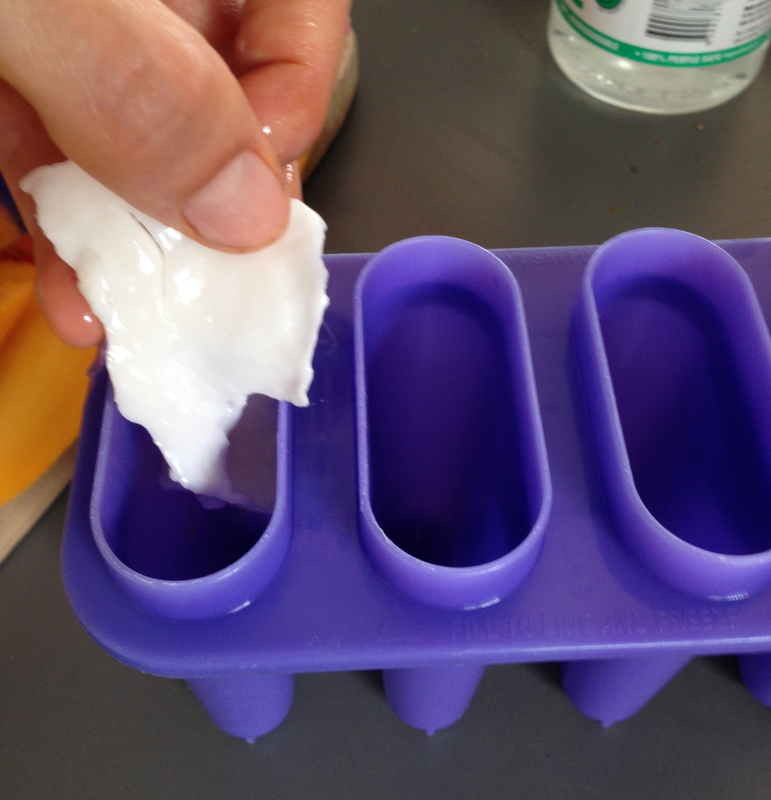 Place small pieces of coconut meat in each icy pole container and fill the remainder 2/3 of the container with coconut water. 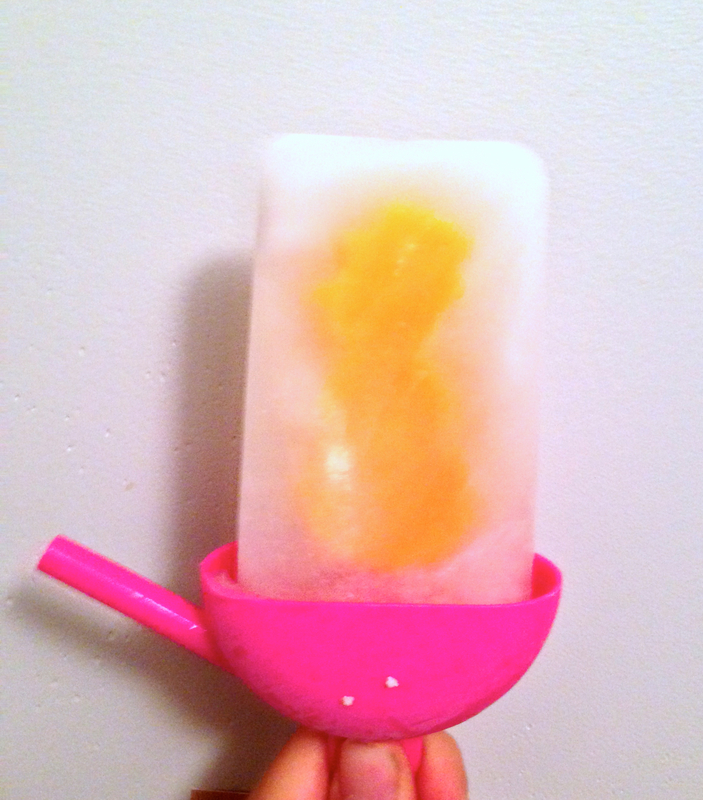 Insert the icy pole holder with the attached mango shape into the icy pole container. Freeze for a minimum of 3 hours.